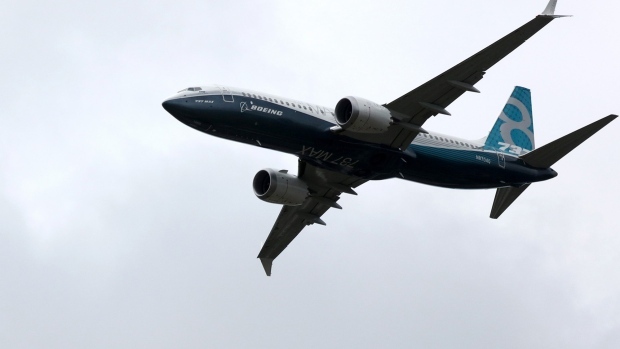 Boeing Co. (BA.N) has asked airline owners of its 737 Max jet to submit orders for a free update of anti-stall software being readied for deployment, in a sign that regulators are closer to approving a proposed fix that could get the planes flying again. FlyDubai, one the biggest customers of the Max, said it has put through an order. Ethiopian Airlines Chief Executive Officer Tewolde GebreMariam didn’t respond to an email seeking comment. The carrier operated a 737 Max that came down shortly after takeoff from Addis Ababa on March 10, killing all 157 on board. Boeing is hosting customers and regulators in Renton, Washington, this week to explain the measures it’s taking to return the Max to service. The Federal Aviation Administration hasn’t certified the software update, the agency said in a statement. The FAA is waiting for Boeing to complete the update so that it can be reviewed. The software update, which can be installed on a plane in as little as one hour, will be given to airlines without extra charge, according to the manufacturer. The redesign will bolster stall-prevention software known as MCAS, which stands for Maneuvering Characteristics Augmentation System, to make it less likely to accidentally activate during normal flight. The system will rely on data from two angle-of-attack vanes, which measure the pitch of the nose against oncoming wind, rather than from a single sensor as is the case now. Boeing will also activate a cockpit display that shows pilots if the two vanes provide conflicting data, as they did on the doomed Lion Air plane.